If your employer is accusing you of theft, you are likely worried about your job and your future. You are facing jail time and other penalties if convicted. There is hope as a theft defense lawyer at our firm can fight for your rights, your job, and your future. Any convictions on an employment-related theft charge will drastically impact your future. Not only are you facing jail time and fines, but also restitution of the taken money and a criminal record. Future employers will have access to this information and will be unlikely to hire you, due to your past. By fighting the charges, having them minimized or dismissed whenever possible, we can protect your future. When you have been accused of illegally taking things from your place of employment, you may be facing misdemeanor or felony charges. The type of charge depends on the monetary value of the items stolen. The larger the value, the more serious the consequences and charges. While the law provides them with such liberties, they are still required to call law enforcement immediately after the detainment occurs. Failing to do so or detaining you in an unreasonable manner or for an unreasonable amount of time can result in them facing criminal charges. If you have a prior theft charge, then it may be even more important to hire an attorney. If you were convicted previously, the state could upgrade the theft to a more serious crime and the prosecutor may try to have you convicted. 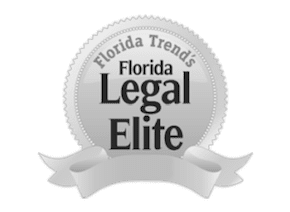 If you are convicted in Florida of a theft charge, you can not only face incarceration and hefty fines, but you may also lose your driver’s license for up to six months. Often considered a type of white collar crime, embezzlement is the act of an employee taking money from his or her employer. This can be through the inaccurate reporting of funds, taking money from a cash register, or other acts involving transactions at the business. If you are accused of embezzling money from your employer, it is essential that you get legal representation as soon as possible. Our team of experienced criminal defense attorneys is standing by waiting to provide you with the legal counsel needed to combat these severe charges. At The Umansky Law Firm, we understand the emotions that accompany accusations of theft. If you live or work in the central Florida area, our criminal defense counsel can work to protect your constitutional rights. If you are accused of theft by your employer, get help immediately. To schedule a free case review with an Orlando theft defense lawyer at The Umansky Law Firm, contact our office online or call 407-228-3838.